Almost everyone at least once in the lifetime was touched by unknown. There are many facets of reality, some of them can not be explained in "scientific" terms (but look at electricity or TV - it is almost magical achievement of human kind - I do understand how it is done but it is still magical to me). So, sometimes we have to ask magic for help (call it Angel, Spirit, Power, ...). Some know how to do it; magic and/or magic potions, as far as I know, this knowledge is not for sale, but the potions may be sold, and sometimes it is the only thing one needs. Each bag comes with instruction - how it should be used. 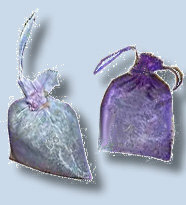 Mix in the bag has been prepared in accordance with old tradition and wise knowledge about each herb, its unique single and combined property, power and vibration. Only organic and/or wild crafted never irradiated herbs have been used. Sacred Potions - Dream Bags: NOTE: Please give the name from selection below in the special request box after you click the BuyNow button. Spirit Protection Power - it is for the one, who has been touched by "bad luck", "bad eye", "bad Spirit", etc.., or who believes it has been touched by it. For the one who has to face the unknown and is too afraid to do it. As well as for all those, who just wish for good protective Spirit to be with them all the time...... etc. Wisdom of Spirit Power - only for those who seek wisdom, who are on the path of power, who are on the path of growing, who are on the path of lucid dreaming, who want the "Great Spirit" to help them understand their goal in this... "short dream called life".... etc. Healing Rejuvenation Power - for the one who cannot overcome the ill own health or the ill health of someone close, it may help healing, by its own healthy high vibration ....etc. Love Attraction Power - for one who is not able to get attention of the loved one, and for those who are not able to attract the special one... etc. Sweet Dreams Power - for all those who are not able to get sound healthy sleep, for the little ones, for a baby who is not able to sleep, and for those hunted by bad dreams, it may be a big help. Spell Breaker Power - for all those who are under the "spell", and/or under the "bad wish" of someone known or unknown,.. etc. Spirit Rejuvenation Power - for all those who are in distress, who do not know what to do, who are afraid to make a choice, decision...etc. Smudging is the burning of herbs (without flame) to create as much smoke as possible. The burning of incenses and herbs is very sacred ceremony for many indigenous tribes. The main purpose of the ceremony is to purify/cleanse places, people, objects, etc. Smudging properly performed banishes negative energies, cleanses the aura, balances physical, mental, and spiritual bodies. The bad spirits and bad energies are driven away, etc. Smudging is often used by medicine people to bring good health to sufferers. Depending on the purpose/ intend - the proper time for the ceremony is very important factor as well as herbs selection. It is a great ceremony of spiritual hygiene with a very nice smell. Different Tribes have been using different herbs for different purpose, but the ideas behind stays the same. Smudging correctly performed can bring physical, emotional and spiritual healing and balance. Herbs may be burn in mix or alone one by one, depending on the occasion and purpose. White Sage & Sweet grass are the most sacred herbs to the First Nations tribes across Canada.